Your big heart. 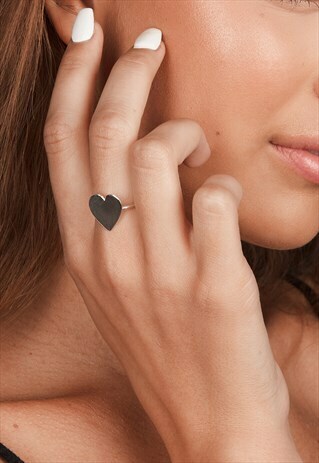 This heart ring with plain band can be styled with anything. The band measures 1.5mm in width and the heart measures 14mm. The ring is adjustable but please choose a size as a guide. Click sizing for UK Ring sizes. Take care with clothing and remove when washing. Each order comes inside a black gift box and with a FREE cleaning cloth, ready to give as a gift or to keep for yourself.